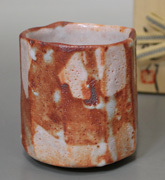 Pottery has been produced in the Mino area of Gifu prefecture since the Kamakura period (the end of the 12th century). 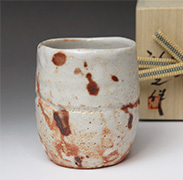 The main names synonymous with Mino are Oribe, Shino and Kizeto. 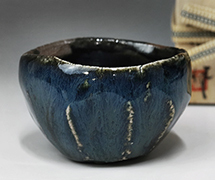 Oribe yaki is one of the many wares produced in the prolific pottery producing areas around Seto,Aichi prefecture and Tajimi, Gifu prefecture. 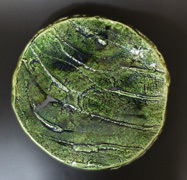 Easily recognisable by its distinctive green glaze, Oribe yaki has four main types; E-Oribe (patterns done with iron underglaze), Kuro-Oribe (an almost black, dark green glaze),Ao-oribe ( light green glaze) and Aka-Oribe (incised patterns covered with various glazes). 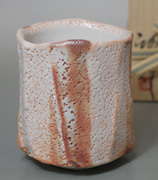 Originally favored by the tea masters of the Momoyama period (in the late 16th century), one of whom, Furuta Oribe, is said to have lent his name to the pottery. 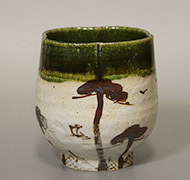 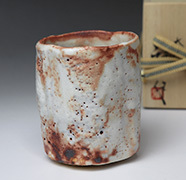 Shino is known for its milky white glaze. 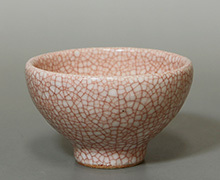 It is said to be the first ware to decorate its pieces with brush-drawn designs. 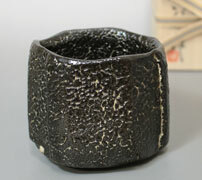 The term Ki-seto(Kizeto) covers a broad area. 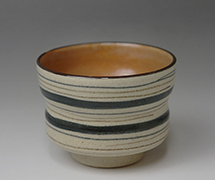 As it's name implies (ki=yellow, seto=porcelain), Kizeto ware has a subtle earthy yellow tinge, sometimes accented with tints of green. 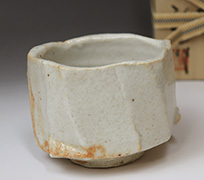 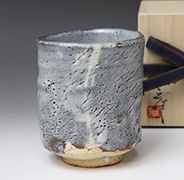 We can find quality tea ceremony ware as well as more accessible everyday items in the Oribe, Shino and Kizeto patterns. 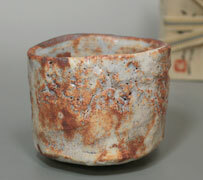 Kuro Oribe ware uses iron glaze to achieve the beautiful finish. 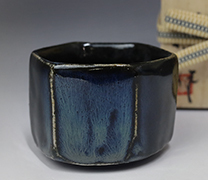 The blue color appears when natural ash melts on the iron glaze in a wood-fired kiln. 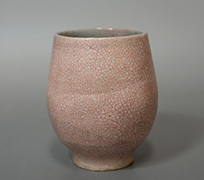 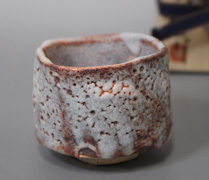 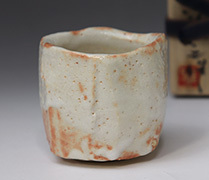 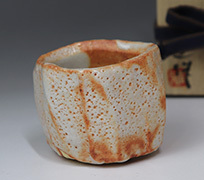 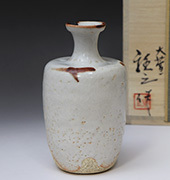 Shino yaki is characterised by it's thick milky-white glaze over an orange or pinkish clay base, pockmarked with tiny holes. 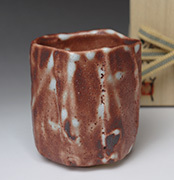 It often features brush-drawn designs in iron oxide which changes to a rusty color after firing. 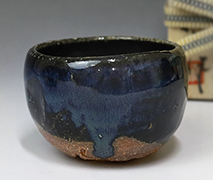 The soft rugged shapes with their squat forms give the pieces a rustic appeal and the thick glaze with its nubbly texture imbues each piece with a sense of warmth. 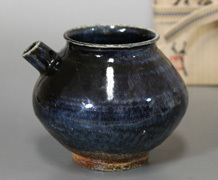 In addition to the pieces described above we can also find other slightly different examples of Shino ware in production. 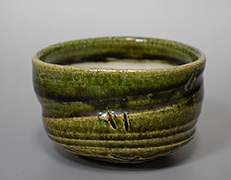 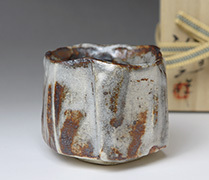 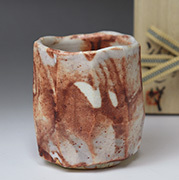 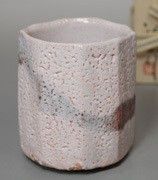 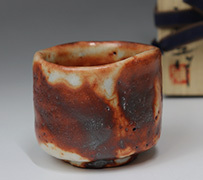 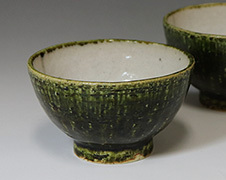 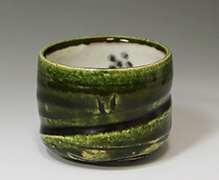 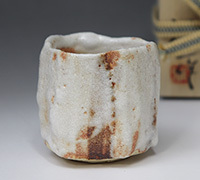 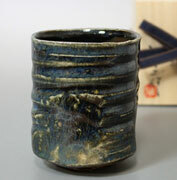 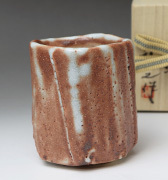 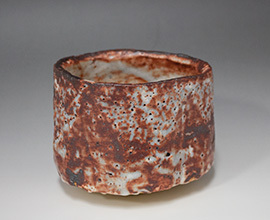 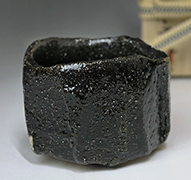 Pieces with a grey glaze are called "Nezumi shino"and pieces made with reddish or yellow clay "Beni shino".